Airbag maker Takata faces a long hard road to recovery after its faulty products prompted the largest auto safety recall ever. Takata is one of the world's largest auto parts manufacturers, and its airbags are now at the center of a global scandal. Some have been known to explode and fire out shards of metal when they inflate, causing serious injuries and even deaths at the wheel. Various recalls have trickled out in recent years but it's the latest -- affecting 34 million vehicles, or one in seven cars on U.S. roads -- that has really rocked the company. Takata faces questions from a U.S. congressional panel about the recall on Tuesday. In testimony prepared for the hearing, Kevin Kennedy, an executive at Takata's North American operation, said the company has identified the type of inflator in driver-side airbags that caused 67 to explode in the field, causing most of the serious injuries and all six deaths associated with the airbags. Takata will stop making those inflators and will transition to a different version. Kennedy did not give details as to when that change will be complete. Analysts say airbag problems have plagued Takata for at least a decade, far before the first related recalls were issued by Honda (HMC) in 2008. And Takata's failure to act quickly and early enough caused huge damage which will take years and billions of dollars to repair. 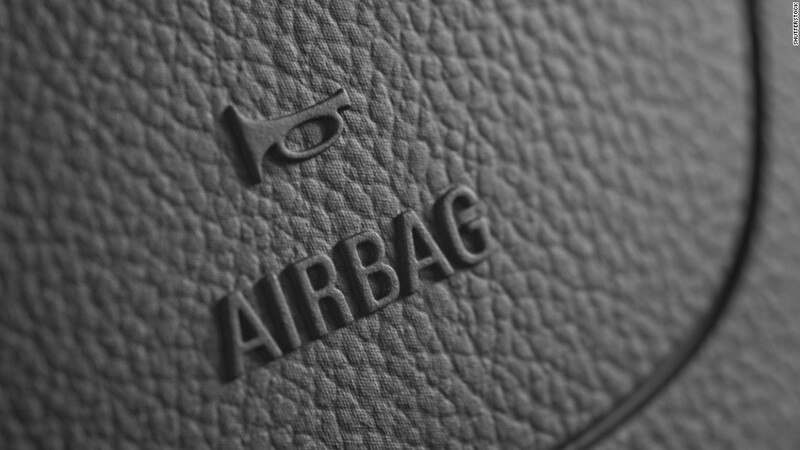 Related: Recalled cars with exploding airbags: Is yours on the list? "Takata at the very beginning, I think, mishandled the situation...and so far, we haven't really seen their top management appear in public to say anything," said Koji Endo, managing directer at Advanced Research, a firm that specializes in Japanese equities. The cost just to fix the airbags will be around 250 billion yen ($2 billion), Endo estimates. And it could take years -- at full capacity, Takata can make roughly seven million new airbags a year. Honda, one of Takata's biggest customers, has asked competitors Autoliv and Daicel to boost airbag production to help with the recalls, Endo said. On top of that, Takata faces mounting costs of defending itself in class action lawsuits, paying compensation, and regulatory fines. Plus, any loss of confidence in Takata could hurt its business in coming years if customers switch to alternative suppliers. The impact of recalling millions of cars has already tipped the company into the red -- it reported a net loss of 29.5 billion yen ($244 million) last year. The company had expected to return to profit this year, but that was before the latest massive recall. It has yet to issue updated earnings guidance. Takata shares have lost 40% over the last year, at a time when Japan's benchmark Nikkei index has gained as much over the same period. The fallout could spread beyond Takata. Japan's auto industry supports a number of other sectors, including steel, rubber and chemical manufacturers. It's a "pyramid-shaped supply chain," said Endo. "We're talking about huge business risk -- it's going to be a huge problem." -- Chris Isidore in New York contributed to this article.